I love wearing Joanna! Now that she's 20+ pounds, her car seat carrier is a pain in the back. "Wearing" her is far more comfortable and promotes bonding that we don't get from my lack of nursing. I don't cover many technical details about each carrier, I just speak about my personal experiences with them. If you're looking for a detailed review that talks about the measurements and where it's made, I'm not your girl. If you want just a quick play by play of the carriers we've used and how we like them, then ta da! Each carrier was given a rating of 1 out of 10, 1 being the "this is worse than lugging her in a carseat" and 10 being "omg this is the best thing in the world". I'm also going to compare each one to shoes, because I like comfortable shoes and I wear shoes everyday. 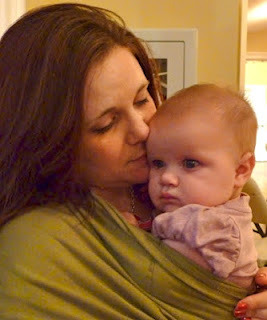 From 0-4 months, my olive green Moby was my favorite. It took about 30 minutes to master but it was well worth the practicing and frustration. 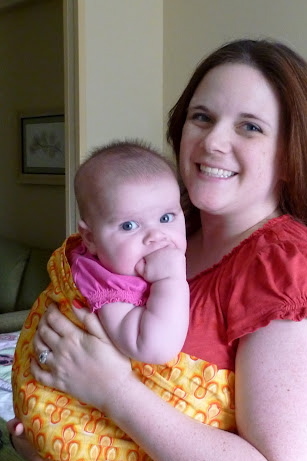 It's incredibly versatile and stretchy - so its great for beginner mamas and beginner babies. They retail from $25 - $40 and are found at most major baby stores. 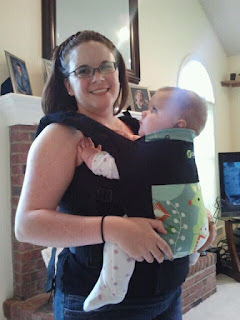 When I was looking through photos to find what to post, I realized that I have more photos of me wearing the Moby than any other carrier. Joanna could fall asleep within minutes of me putting it on. I also liked it because it fit over my large chest and didn't irritate my C-section incision. 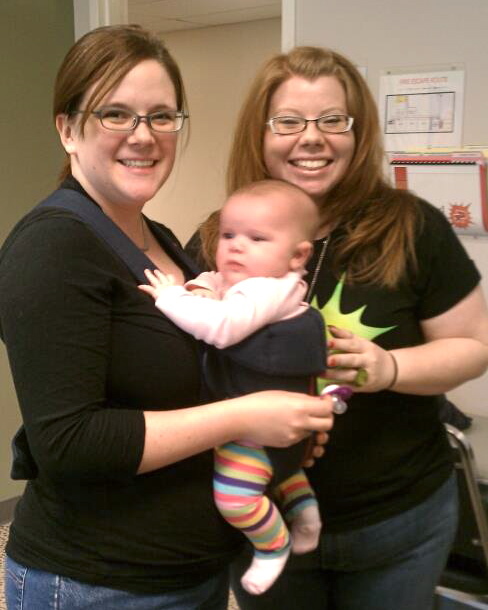 My yellow and red Seven Sling was my emergency sling when Joanna was under 20lbs. It's valued at $40, which is a rip off, but it was "free" with $12 shipping and $5 fee of some kind. I'd say it's worth $17 so I didn't feel cheated. It was great when I was in a pinch and needed something but forgot to bring a carrier. It's basically a cheaply sewn piece of fabric with no adjustment opportunities. They come in sizes and I read that they run small, so I bought a size 5 even though they said I needed a size 3. It fit perfectly for several months. Now it's in my big bag of baby carriers that I don't use. The Bjorn is like the 1980s cadillac of carriers. They retail for $100 - $150+. 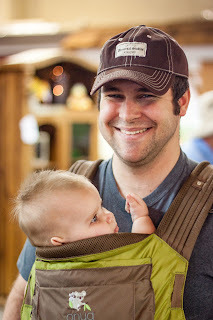 The price makes it seem like a good carrier, but it's honestly awful for the wearer and the baby. It hurts your back and doesn't support the baby's hips and legs like it should. (If you have a boy, its especially uncomfortable for their little one, too). I could last maybe 10 minutes before I would want to put her back in her car seat and carry her. I only used the Bjorn a handful of times. Woven wraps have a cult following. I'm not very good at them and they aren't as easy to use for beginners. 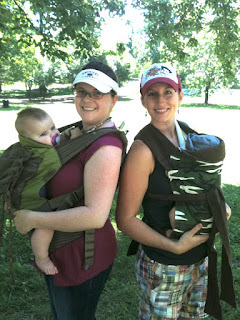 However, woven wraps are the most versatile way to carry your babe. I have a Girasol wrap and I love what I can do with it, but I am eager to learn more. You can also do a back carry with woven wraps - you cannot do a back carry with a stretchy wrap. Woven wraps are good for post C-section mamas, too because it helps support the tummy while it supports the behbeh. They're also great for pregnant women that are still carrying other little ones outside of their body, too. 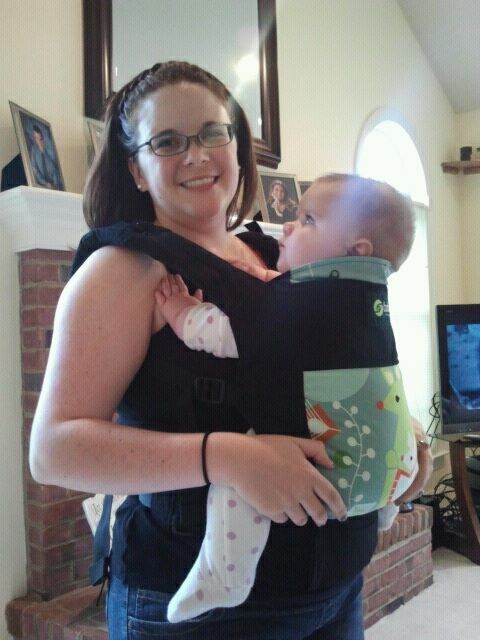 This is my go-to carrier when I need something quick, easy, and comfortable. It stays in the car at all times so I always have it on hand. This Boba is a structured carrier with buckles. There are multiple points of support (unlike the Bjorn) so it doesn't hurt after 5 minutes of wearing it. I've been able to wear her for hours of walking without pain. They can retail from $130-$150 but sometimes you can snag great deals and get them for $80 - $90. It is WELL worth the investment! This carrier will fit Joanna until 35 pounds. I can also do a back carry later on. The only reason this didn't get a 10 out of 10 is it gets a little warm in the Virginia humidity. It's all cotton and black, so that was my fault for not choosing a lighter color. I'm on the left wearing my Onya and Crystal is wearing little Micah in a Kozy. I don't own a Kozy so I can't speak to its awesomeness, but I've heard wonderful things. It's a structured carrier for people who prefer a mei tei style. I'm a buckle kind of girl. The Onya is one of my favorite purchases. When we first got it, it seemed too big for her. It collected dust until she was 6 months old. When I brushed it off and put her in, it was perfect! I bought the Onya Outback, which is a more rugged structured carrier. It's mesh and nylon compared to my cotton Boba. It breathes beautifully in hot weather (YAY!) and it even comes with an attachment so she can sit in a chair safely! Genius. Jonathan prefers this carrier because it looks more manly. It's super comfortable, breathes well, looks nice, and Joanna loves it. Here is a great review of the Onya. We lucked out and got it for $80 on Zulilly instead of the usual $150. It's a newer company on the market so if you're wanting one, you can keep your eyes open for baby sites offering killer deals. If you want to buy just one carrier, why? Do you only own one pair of shoes? I think two is a great number for most people to have. 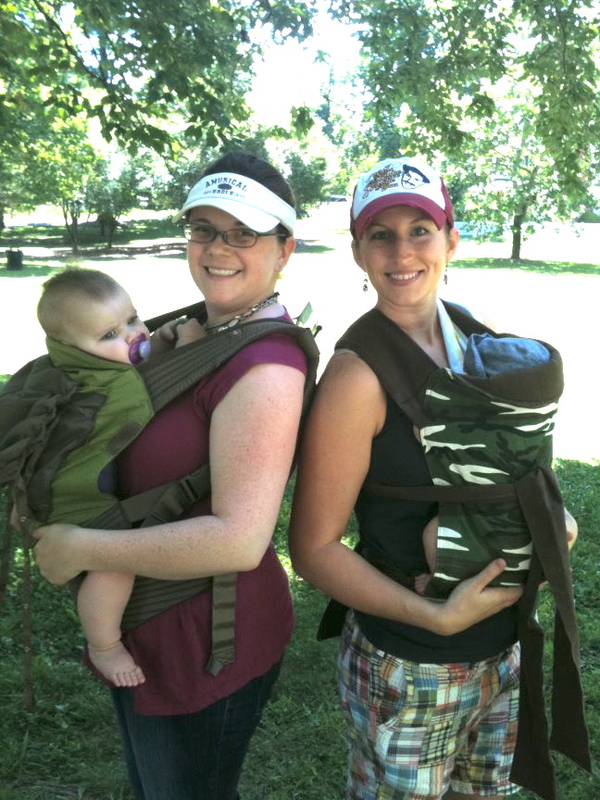 The Moby is perfect for newborns and little behbehs because they are so versatile, cost effective, and comfortable. When the baby is older, a structured buckle carrier is easy to use, quick to put on, and some dads won't feel overwhelmed by it. The best thing to do is find a retailer that sells multiple brands. Just like finding a good pair of shoes - you have to try them on to find the best fit. We have tried the Moby, Boba, and Bjorn and I would say exactly everything you said. The Boba makes Asher a little sweaty...wish I had known about the Onya before I had gotten it. We love your post! Thank you for the awesome coverage and for making us actually laugh out loud! We appreciate it and we've been sharing it. <3 We're super thrilled that you love your Onya! Lol. Your shoe comparisons are perfect!